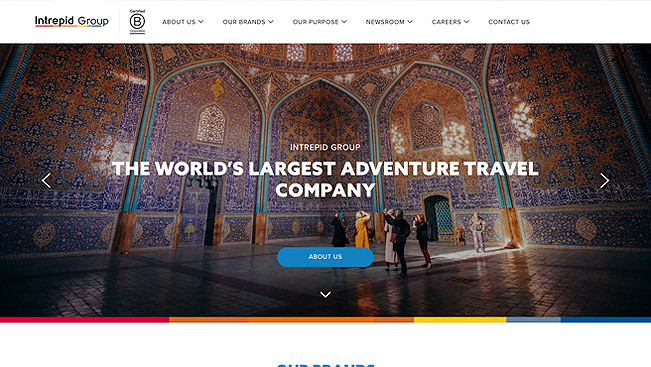 Last month, we had the absolute please of working with the team at Intrepid Group Travel on the design and development of the www.intrepidgroup.travel website. Besides offering the world’s widest range of adventure tours, and being one of the nicest clients we’ve ever worked with, they also can boast to be one of one a few companies to be B Corp certified. A great achievement for and awesome organisation. Their website was built within the Drupal 8 framework and you can view the website in more detail by clicking the link below. 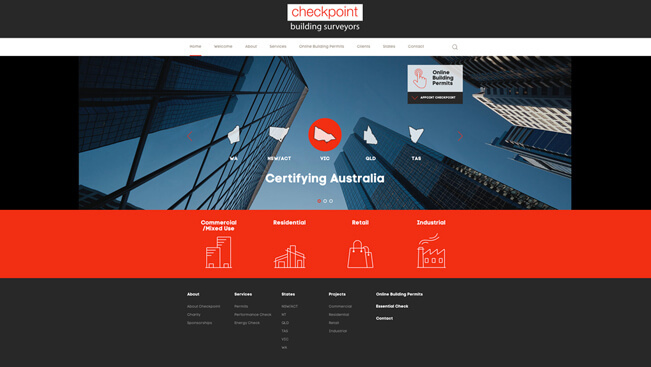 One of Australia’s leading Building Surveyors, Checkpoint, asked us to redesign and develop their new website. Launched earlier this year, it was imperative to the directors at Checkpoint that the new site reflect their innovative, caring and professional approach. Servicing all of Australia, the website also had to clearly inform a user that regardless of which state or territory, Checkpoint are able to provide you with building consultancy services of the highest quality. Check it out at www.check-point.com.au to view the website in more detail. Volume has relocated to vibrant Cremorne!